Recently, we had a bit of a blizzard in my neck of the woods. 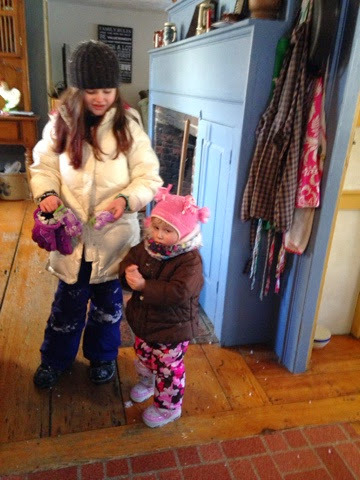 So I did what my Mama did-sent the kids outside to play in the snow, even when they protest. 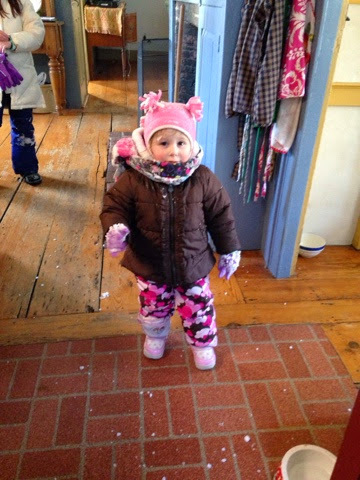 This is my adorable grandaughter Jemima, who came in with snow and ice stuck all over her. She was a bit unhappy. So what did I do? I grabbed my phone and started taking pictures of her begging for help. I tell her shake off the ice while I snap away. Lydia comes over to help. 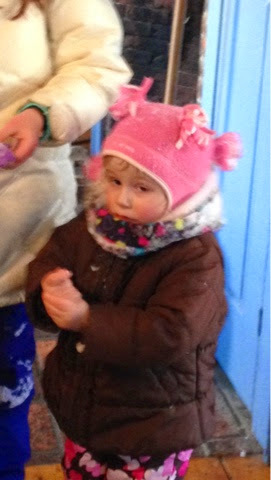 Jemima is not happy with her Nonie and it shows in her face. 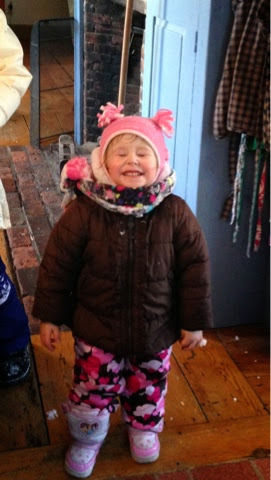 Jemima smile for Nonie and I will give you some candy! I promised that in the heat of the moment, I didn't really have any candy. Poor kiddo! Love that face!